His ScandalHer Secret From New York Times bestselling author Alafair Burke, a stunning domestic thriller in the vein of Behind Closed Doors and The Woman in Cabin 10 --in which a woman must make the impossible choice between defending her husband and saving herself. When Angela met Jason Powell while catering a dinner party in East Hampton, she assumed their romance would be a short-lived fling, like so many relationships between locals and summer visitors. To her surprise, Jason, a brilliant economics professor at NYU, had other plans, and they married the following summer. For Angela, the marriage turned out to be a chance to reboot her life. She and her son were finally able to move out of her mother's home to Manhattan, where no one knew about her tragic past. Six years later, thanks to a bestselling book and a growing media career, Jason has become a cultural lightning rod, placing Angela near the spotlight she worked so carefully to avoid. When a college intern makes an accusation against Jason, and another woman, Kerry Lynch, comes forward with an even more troubling allegation, their perfect life begins to unravel. Jason insists he is innocent, and Angela believes him. But when Kerry disappears, Angela is forced to take a closer look--at both the man she married and the women she chose not to believe. 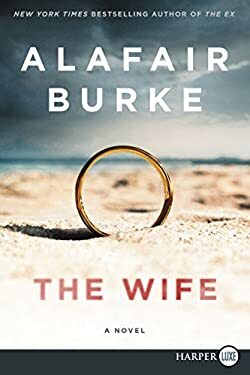 This much-anticipated follow-up to Burke's Edgar-nominated The Ex asks how far a wife will go to protect the man she loves: Will she stand by his side, even if he drags her down with him?